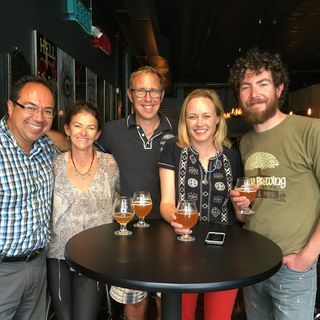 On this weekend's "Behind the Mitten," John Gonzalez and Amy Sherman interview Matt and Renee Greff of Arbor Brewing in Ann Arbor. They talk about being the 7th brewery to have a license in Michigan (opening in 1995). And they talk about a new expansion in India. Currently they are in Bangalore, India. John and Amy picked Arbor Brewing as one of Michigan's Top 10 breweries back in 2013. Amy also recorded an episode of her TV show the "Great American Brew ... Más informaciones Trail."